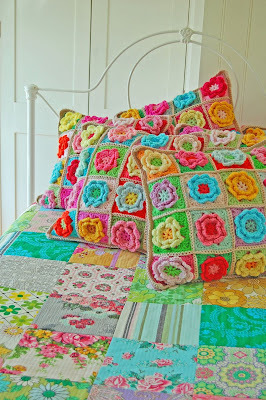 Crochet a Pretty Flower Square Pillow | Curly Girl's Crochet Etc. 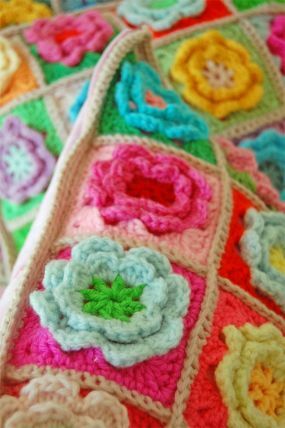 I have a beautiful crochet pattern to share with you today, but first how about a fun crochet fact? Did you know that crochet is the last fiber art that cannot be duplicated by machine? Yep, it's true. True crochet stitches cannot be duplicated by a machine. That makes a handmade crocheted piece even more unique and truly one-of-a-kind. I think crochet is beautiful. I am so amazed and proud at just how far this art form has come. I am always on the lookout for unique and interesting displays of bright and beautiful crochet, and I was so excited when I ran across this one! 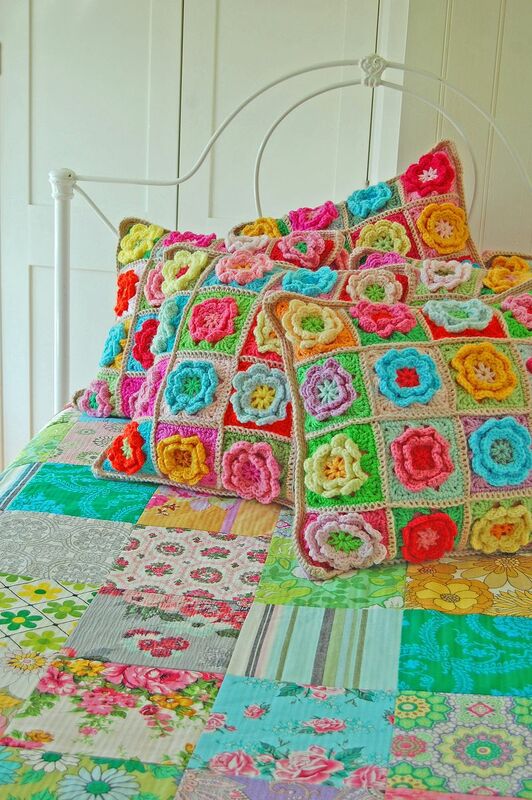 It's a granny square pattern, yet it looks hip and up-to-date, and the colors are just fabulous! This is going on my crochet "to-do" list for sure! You can get the pattern for this beautiful pillow here. 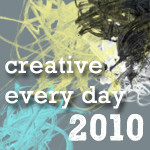 While you're there be sure to take a look around this lovely blog for some beautiful creations and inspiration galore!! I hope you're all having a terrific and crafty weekend! Thanks for share with us this beautiful pattern. It look really really beautiful. This pattern is beautiful! I love seeing larger crochet projects. I am so used to making little dolls (which is still awesome), but it is really nice to see other things that you can do with the art. These pillows are beautiful they are for sure on my to-do list now :D.
Beautiful! thank you so much for sharing! I just arrived to your blog and I love it! so full of color! I first learned to stitch this flower pillow in 1975 from a German lady. My husband was in the Army and we were there 3 years. I made many of these and enjoyed it. I was always grateful to her for showing me how to make them. I was so surprised to see them again! It is great of you to share with everyone. Have a great weekend and keep on doing all you do. It is wonderful!!! 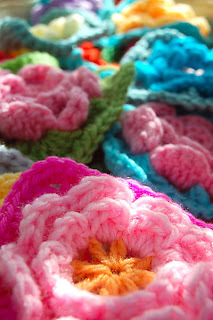 Your work is absolutely beautiful, its this type of thing that makes me want to learn how to crochet properly! Thank you! Grab My Badge, and be sure to let me know so I can link to you as well! I Need to Get These Off My Chest. Or I'll Explode. Get the TwitterMoms Blog Network widget and many other great free widgets at Widgetbox!